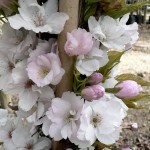 Prunus ‘Amanogawa’ is a small, narrow column tree with upright branches. 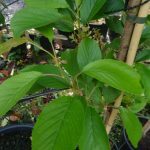 It is ideal for a small garden, with an eventual height of approximately 19′. 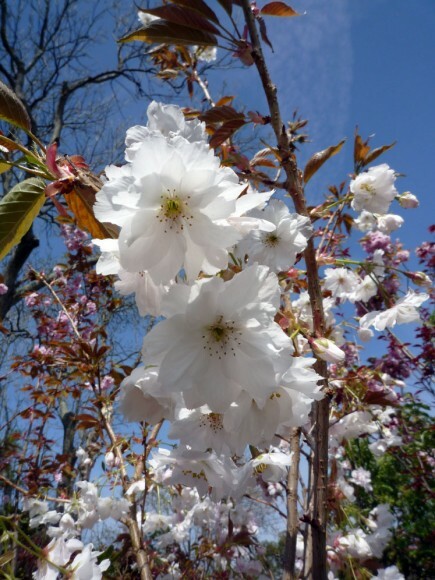 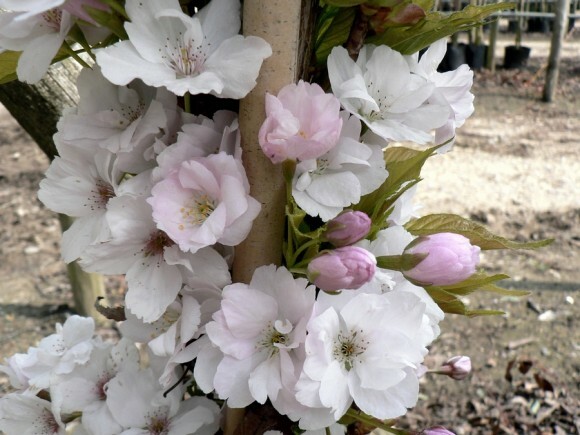 In April, Prunus ‘Amanogawa’ produces clusters of large fragrant single or semi-double shell pink flowers. 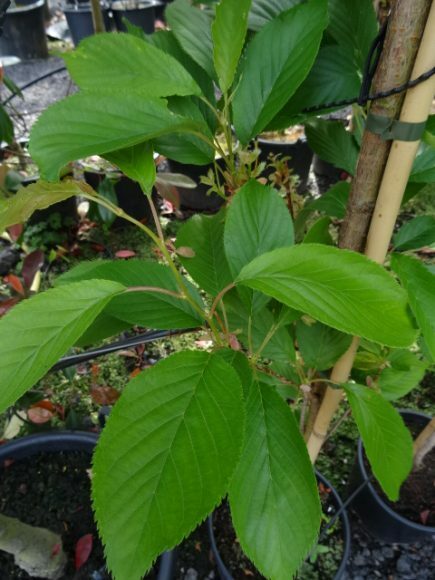 The foliage is bronze-green in the spring, turning to mid-green during the summer months, turning orange\red in the autumn. 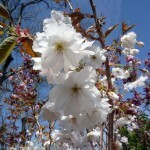 Prunus ‘Amanogawa’ is very tolerant of pollution, so it is an ideal tree for urban areas.